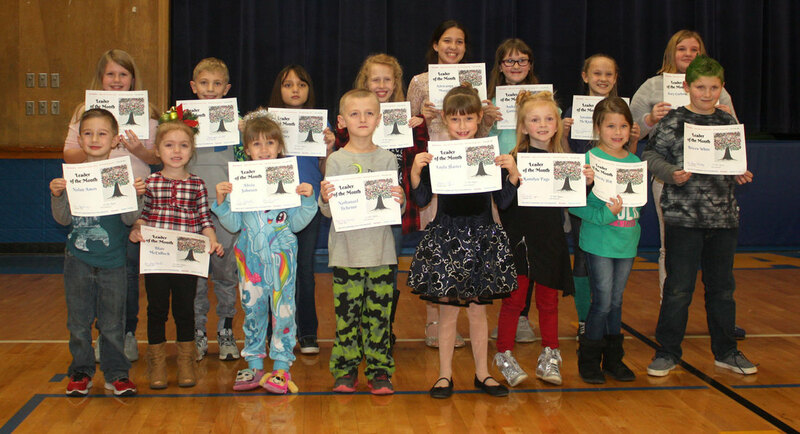 Crane Elementary Leaders of the Month from October were recognized at the quarterly assembly on Friday, December 21. Students honored were: Preschool- Mrs. King- Eli Medlin, Mrs. Merritt- Lucas Funderbunk, Kindergarten- Mrs. Glossip- Braylin McCullough, Mrs. Johnson- Ada Rinker, First Grade- Mrs. Cope–Holly Guess, Second Grade- Ms Brawley–Olivia Plunkett, Third Grade- Mrs. Plunkett- Kaidyn Rasmussen, Mrs. McCormick-Shia Fields; Fourth Grade- Mrs. Cavener-Jacelyn Berger, Mrs. Berg- Alexa Fields, Fifth/Sixth Grade- Mrs. Blair-Ballie Groom, Mrs. Marcum- Nicole McDowell, Mr. Johnson- Layla Tracy and Mrs. Rauch- Heather Willhite. 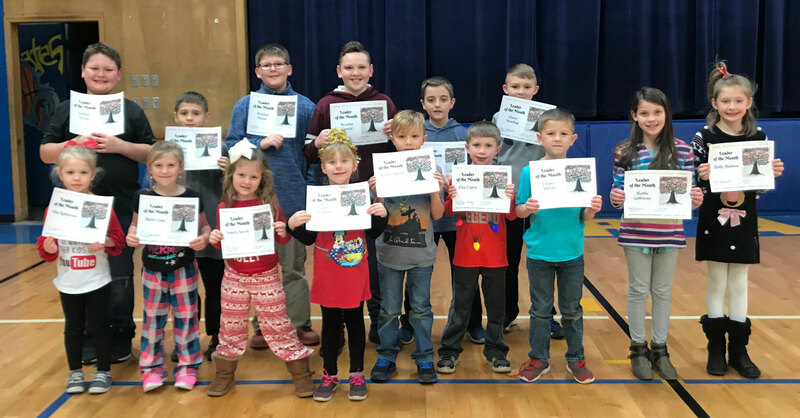 Crane Elementary Leaders of the Month from November, 2018 were recognized at the quarterly assembly on Friday, December 21. Students honored were: Preschool: Mrs. King- Ella Robinson; Mrs. Merritt- Kylar Greene; Kindergarten: Mrs. Glossip- Emery Steele; Mrs. Johnson- Skyler Cope; First Grade: Mrs. Cope- Gabby Trogdon; Mrs. Fryman-Bentley Sitton; Second Grade: Ms.Brawley- Clay Cypret; Mrs. Wade- Cooper Wilson; Third Grade- Mrs. Plunkett- Holly Hudson; Mrs. McCormick- Hadlie Galloway; Fourth Grade: Mrs. Cavener- Nathan Willhite; Mrs. Berg- Samuel G. and Fifth/Sixth Grade: Mrs. Blair- Braylon Merritt; Mrs. Marcum- Chase Bowling; Mr. Johnson- Waylon Mease; Mrs. Rauch- Brady Robinson. The December 2018 Leaders of the Month at Crane Elementary were recognized at the quarterly assembly on Friday, December 21. Students named included: Preschool: Mrs. King- Nolan Amos; Mrs. Merritt- Blair McCulloch; Kindergarten: Mrs. Glossip- Nathanael Tichenor; Mrs. Johnson- Alivia Johnson; First Grade: Mrs. Cope- Kamdyn Page; Mrs. Fryman- Layla Harter; Second Grade: Ms.Brawley- Bricen White; Mrs. Wade- Kennedy Hill; Third Grade: Mrs. Plunkett- Maddox Vaught; Mrs. McCormick-Ella White; Fourth Grade: Mrs. Cavener- Ella Rogers; Mrs. Berg- Alexia Jimenez; Fifth/Sixth Grade: Mrs. Blair-Adrieanna Morgan; Mrs. Marcum- Zoey Curbow; Mr. Johnson- Audrey Gatton; Mrs. Rauch- Savannah McKinley.